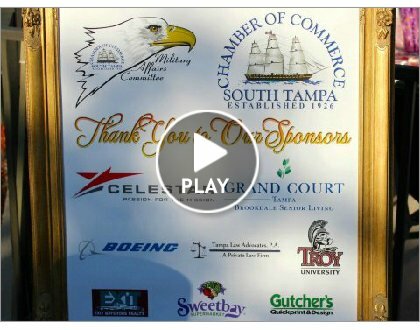 This Greater Tampa Chamber of Commerce video highlights the business climate in Tampa Bay and features Celestar! Check it out…. This annual reception gives military men and women the opportunity to meet community leaders, business owners and military supporters in a casual setting as well as gives the community the opportunity to come out and thank the military men and women for all they do for this country. WHO: The general public can register for the reception here. REGISTER: Sign up on the event page. Ticket prices are: $15 for Chamber Members, $20 for Non-Members, and $25 day of event for all. The Military Affairs Committee’s function is to build a relationship between MacDill Air Force Base and the South Tampa Community and to support this nation’s military men and women who serve this country. The South Tampa Chamber Military Affairs Committee works to welcome the many officers from countries that are part of the Coalition Forces stationed at Central Command. Through various events and efforts, the South Tampa Chamber Military Affairs Committee helps to support the Family Resource Center at MacDill, a center designated to help all military persons with financial, emotional and family demands. 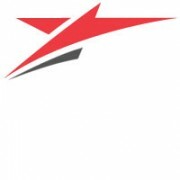 Celestar is a SBA Certified 8(a) and Service Disabled Veteran Owned Small Business with headquarters in Tampa, FL and a satellite office in Reston, VA. Celestar Corporation provides creative, innovative, and cost-effective service solutions to the U.S. Government and Private Industry worldwide. The cornerstones of Celestar’s operations are integrity, agility, initiative, and dedication. Celestar’s corporate passion statement is to “make a difference” and continuously strive to do so for customers, communities, and valuable team members.